It is coming to the end of the summer as much as we hate the idea we can at least let the sunshine live on in our taste buds. At Quattro Foods factory in Portsmouth we have you covered when it comes to summery Mediterranean flavours. Here are some ideas to keep the summer living on through our sundried tomatoes, which are part of our ambient range. Think traditional pesto but better, you can spruce it up by adding some chopped tomatoes to it. Spread this onto some sough dough bread with fresh tomato on top and some feta cheese. It has been a wonderful summer but on those odd rainy days what is better than a vegetable broth. 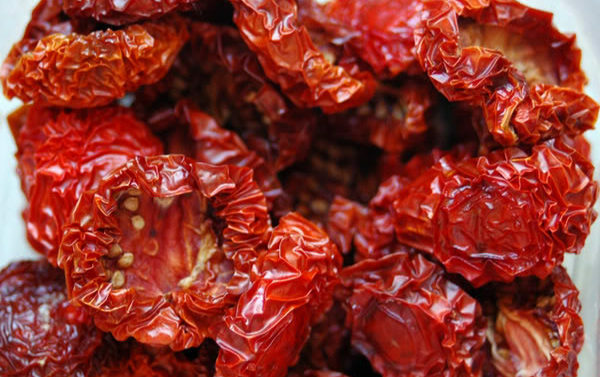 If you really want to impress your taste buds just add some of our sundried tomatoes to the mix for an extra oomph. The flavours really compliment each other and will perk up any vegetable broth making it extra nice and summery. This option is also a very healthy vegan and vegetarian option. Try a new take on an all time classic. Just don’t forget to stock up on our sundried tomatoes. Why not try a raw zucchini lasagne, there are lots of different ways to make it? We really love the sound of this one but with our own little twist. Instead of the usual pesto make your own with our fresh sundried tomatoes.